Widespread adoption of blockchain tech and its associated cryptocurrencies requires much more than mere speculation. You and I are fully aware of our prized digital assets’ revolutionary potential. But until they serve a real-world purpose, they’ll continue to wear the nametag of ‘Fake Internet Money’ bestowed upon them by doubtful Debbie in the accounting dept. If our baby birds are to leave their nests and take flight — if our coins and tokens are to someday don space helmets, they must first mature by providing the world with actual value. Decentralized fog-computing blockchain project — Sonm — enables just that. How so, you might ask? Well, if you own at least one mining rig or computer with enough horsepower under the hood, the Sonm platform allows you to extract even more value than what your hardware may currently provide. Disclaimer: This is not investment or financial advice. I’m not a financial expert by any stretch of the imagination. Information within this article is primarily personal opinion. I may or may not receive a small allocation of tokens for creating this content. That said, I do my best to remain unbiased and fair. I try to avoid all FOMO and FUD and don’t wish to evoke those emotions in my fellow crypto-heads. The joys of insane profits from mining crypto have temporarily faded. No longer can you just set up a rig and collect handsome rewards. The crypto industry’s currently soul-crushing bear market has seen mining rigs power-down in droves. Once-profitable operations have taken such a massive blow to the bottom line that it doesn’t make financial sense to keep machines running. Unless you’re a firm believer and long-term HODLer willing to operate at a loss in the hopes of future upswings, there’s no reason to keep processing. But Sonm wants to turn that concept upside down. The Sonm network gives crypto miners and owners of powerful computing hardware the ability to rent idle resources in exchange for ERC20 tokens. So, rather than give your mining rig a vacation during this crypto winter, you can connect to the Sonm network and claim rewards. Don’t tuck your hardware away in a closet or offer it for sale on eBay — put those machines to work! Crypto miners already know the joys of earning while they sleep. As they drift off and dream of hashrates, their rigs put blocks on chains while earning crypto in the process. The Sonm platform operates on the same principle. Allowing businesses to rent your computing power for their own needs saves them money over the likes of Amazon, IBM, Microsoft, and other cloud-computing service providers. By fully utilizing CPU, GPU, RAM, plus disks and server resources, Sonm extracts the most value from any given setup. Providers of resources get paid in the project’s $SNM utility token. And since the Sonm project is well beyond the ICO phase and running on MainNet, you can trade $SNM tokens on major exchanges including Binance and KuCoin. So, rather than directly mine for crypto, you can indirectly mine by giving companies a discount on necessary services. They say there are no guarantees in life, but I’m 99.99% sure that the price of Ethereum right now — one ETH = $137.59 as I write this — won’t be the same as the figure I just gave you. Whether you have a dedicated mining rig or a PC that also likes to play videogames, several factors are at work when deciding if a digital side hustle is worth the effort. A machine’s harvesting capabilities must outweigh the current market price of the mined coin or token, minus the cost of electricity. Cheap energy is a miner’s best friend. 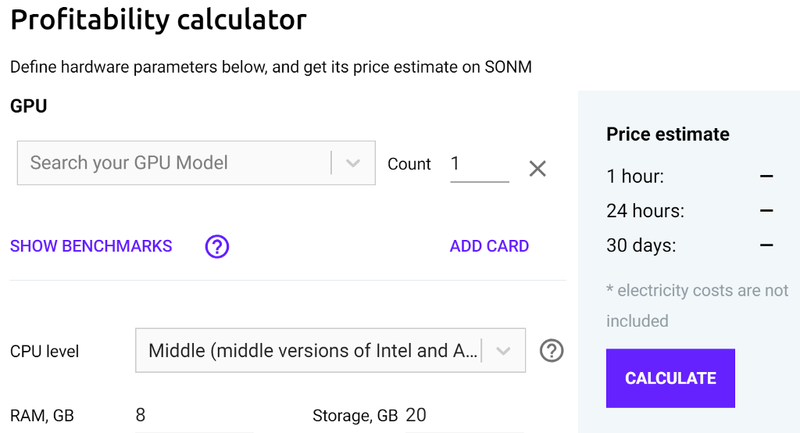 I hope you don’t have to deduct much for juice consumption when using Sonm’s profitability calculator. And if the rumors are true, in the case of BTC anyhow, the majority of the world’s nodes are using sustainable green power. But let’s crank the hashrate way up. After all, especially if you’re mining or 3D rendering or designing graphics, you’ve built your machine accordingly. Extracting additional value from your machinery begins with installing the Sonm operating system. Clicking this link downloads the SONM OS onto your machine. Installing the OS will erase existing computer data. Installation is recommended for dedicated hardware or virtual machines. The entire installation takes less than 10 minutes. But if you get stuck along the way, simply reach out to Sonm Support to get the help you need. It’s always a good idea to do your own investigating before getting involved with a blockchain project. I encourage you to dig a little deeper into this one if you think you may want to participate. If you like what you just read and want help getting your crypto message to the masses, I’d love to hear about your project. 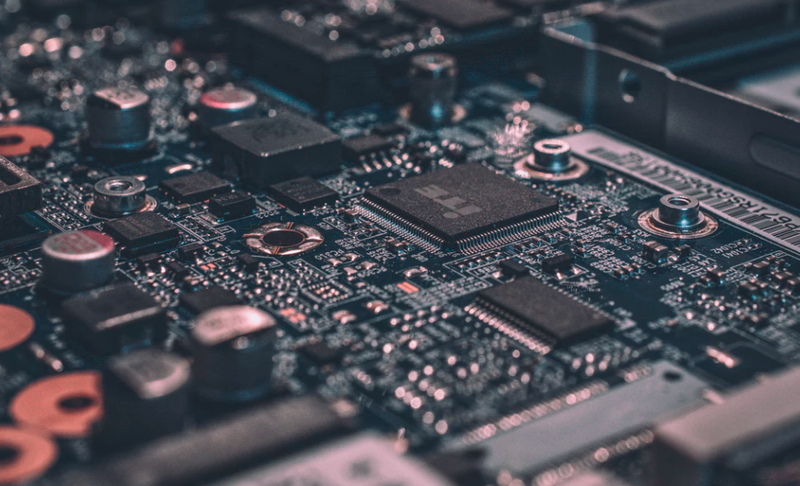 Give Your Idle Computing Power a Crypto Side Hustle was originally published in Hacker Noon on Medium, where people are continuing the conversation by highlighting and responding to this story. Next PostNext What’s Next For Apple?